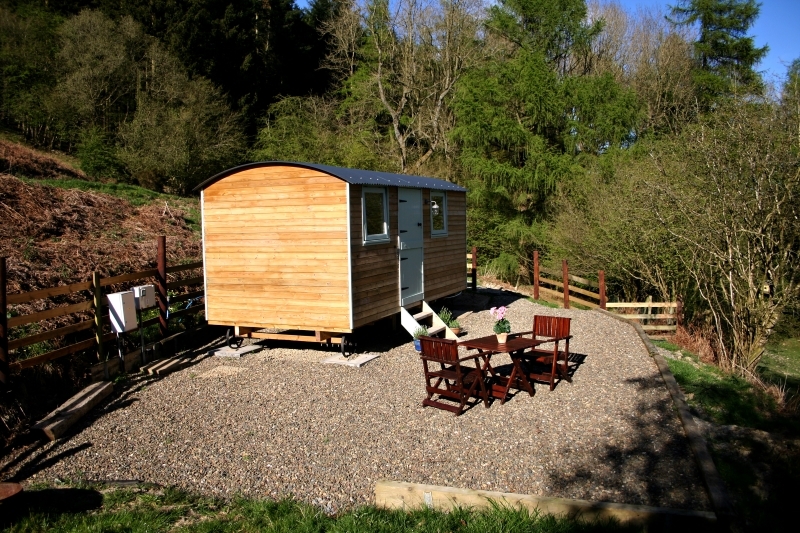 Experience glamping in our cosy shepherd hut situated on a traditional working sheep farm within the Mortimer Forest . Enjoy walks in the forest or just watch wildlife from outside your door. A perfect getaway for couples looking for a quiet retreat in a beautiful unspoilt location yet close to the historic town of Ludlow.